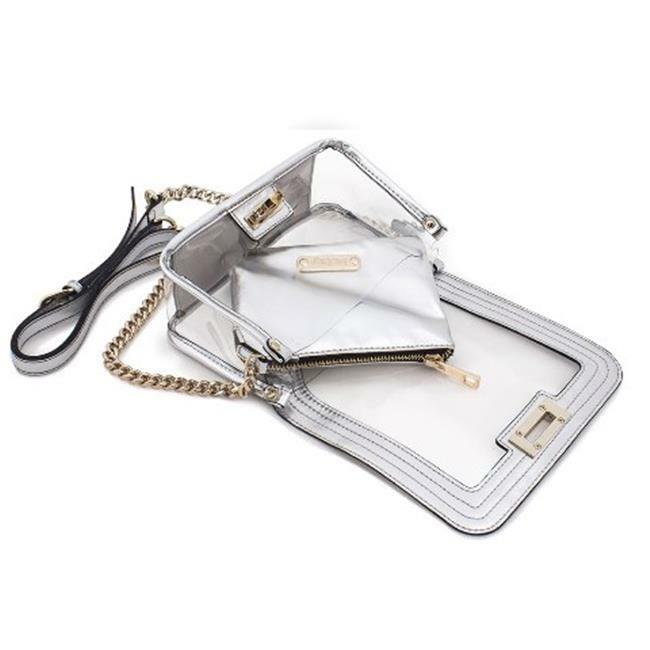 Prepare to play a little peekaboo fun with Hellofame mini tech bags for a serious touch of futuristic chic!
. Gold tone hardware.. Tonal stitching.. Python mini pouch inside.. Dust bag included.. Color - Silver. Dimension - 7 x 4 x 7 in.. Item Weight - 4 lbs.